Over five thousand years ago, Lord Sri Krishna spoke the Bhagavad Gita to Arjuna, a warrior prince, on the battlefield of Kurukshetra. 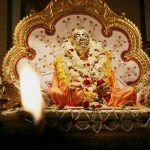 Every year on the anniversary of that day, devotees of Lord Krishna gather and recite the Bhagavad Gita. 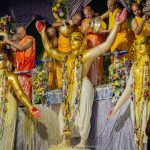 In Sri Dham Mayapur, seven hundred students from the Bhaktivendanta Gita Academy organize a huge Gita Jayanti festival. 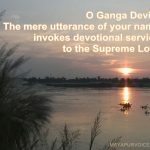 They go for mangala arati, then bathe in the Ganga before going to the festival pandal. A beautifully decorated yajna kunda is set up, and oblations are offered into the fire during the recitation of the Sanskrit verses of the Bhagavad Gita. 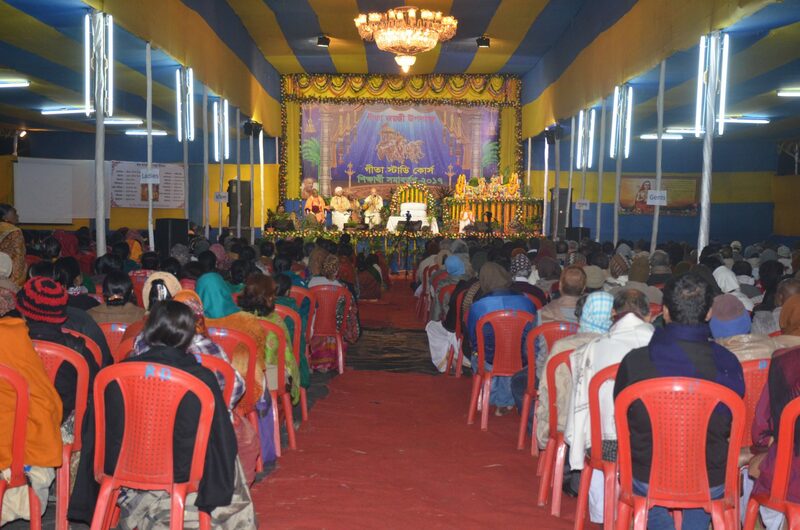 On average, over four thousand devotees gather in one place to recite the Bhagavad Gita in unison. The atmosphere is surcharged. After the recitation of the Gita, a delicious feast is served. During this time, many copies of Srila Prabhupada’s Bhagavad Gita As It Is are distributed to the visiting pilgrims. 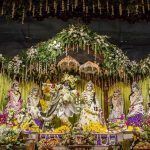 This distribution is a combined effort of many of the Mayapur community devotees, as well as some visiting devotees from around the world. Everyone helps in the distribution of the Bhagavad Gita As It Is. Even little children take part in the distribution of Gitas. 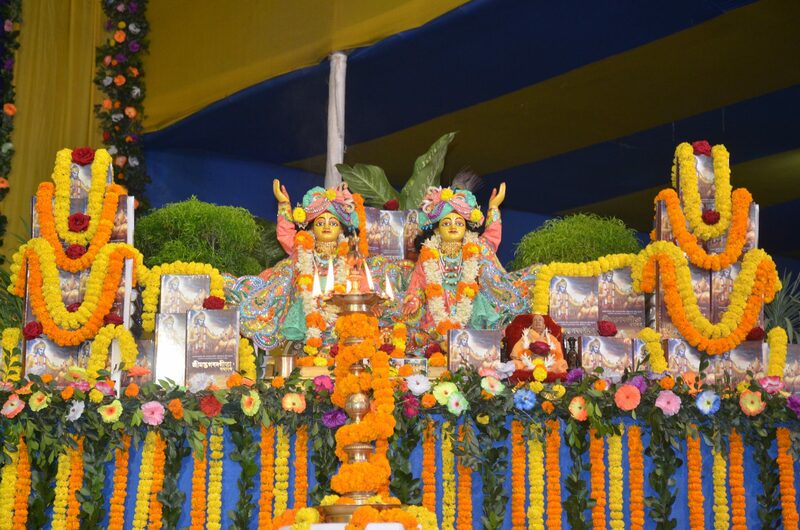 In the Sri Mayapur International School, there is also a Gita Jayanti festival, where all the students and teachers gather and recite the Bhagavad Gita. 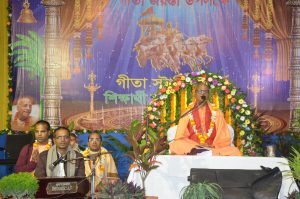 In this way, this most auspicious Gita Jayanti festival is wonderfully observed in Sri Dham Mayapur by all the devotees of Sri Krishna. Next articleHigh university degrees and foreign education essential for a leader? 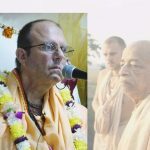 What do the new World Records by ISKCON show?